While organizing a BBQ party food must be arranged after a great planning so that any shortage of food may not leave you embarrassed. 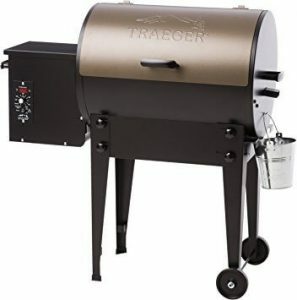 So, for all of you who enjoy social life and love to give parties to your countless friends, getting a bigger grill is the best preparation. 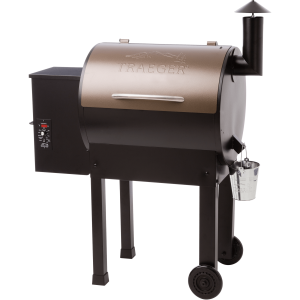 This Traeger grill product guide will convince you of the benefits of a pro grill. 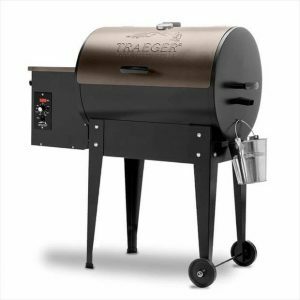 Traeger TEXAS ELITE 34, Black and Bronze is one of the biggest and best wood based pellet grill available today. Read along to know why it is growing in popularity among the food lovers and the party enthusiasts. 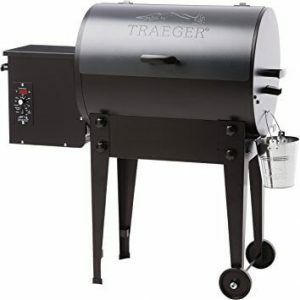 Big grilling surface- To begin with the one thing that differentiates this grill from others is the large grilling area it offers. You don’t have to meticulously plan your cooking sequence or ponder upon your guest lists for those last minutes deletions. Invite a big bunch of friends and let them know how great chef you are. Saves Fuel – The other benefits of this large pellet grill is its fuel saving capability. With a lesser amount of wood based pellets, you can cook a large amount of food. No wastage of fuel if you have planned more than two rounds of grilling. Superb temperature control with great flavor- your steak, meats, veggies, burgers and other special surprises will never fail to tingle the taste buds of your guests. 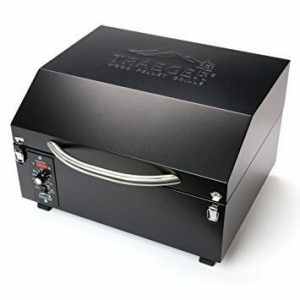 Thanks to the efficient Digital Elite Controller with LED display that makes it as easy to control as an oven giving the accurate heat to the food being grilled. The wood based pellets will enhance the flavor of grilled delicacies while retaining the juicy texture. Easy to clean porcelain grates- everyone stays till the fun lasts. When it comes to cleaning, you will hardly find a company. No need to worry since this is an easy to clean cookware with its porcelain grates that can be wiped clean in no time. Cooking area up to 646 sq. in. with highly responsive auto ignition system. LED display lets you select the right temperature for the food. 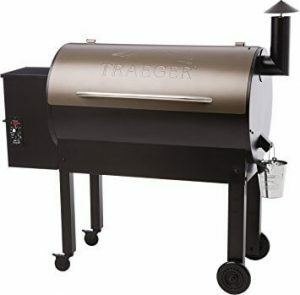 Can be used only with pure hardwood pellets to give you that unique and satisfying smoked flavor. Temperature range is large and the temperature is sustained for long duration for even cooking while keeping the food succulent so that it just melts in the mouth. It cooks with the powerful convection process with its wood based pellets. It has wider and stable legs. It can be easily placed in different terrains where you may plan your picnic or outing. 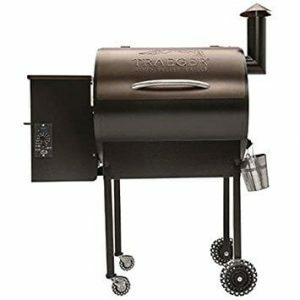 The best grill available for large family dinners and outdoor vacations or camps by Traeger gets 4.5 star rating from 28 Amazon customers. 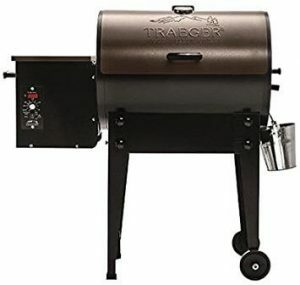 If you have been browsing through small pellet grills but you actually need a bigger grill at a reasonable price then go for Traeger TEXAS ELITE 34, Black and Bronze. It saves your time, energy and fuel while grilling the best snacks for your family and friends. Its size makes it efficient and economical.